Whilst we were out at an Easter egg hunt (not much hunting went on, but more of that in another post) the caterpillars all climbed up to the top of the pot they are in. One of them is now hanging upside down, completely still. The others are starting to do the same. 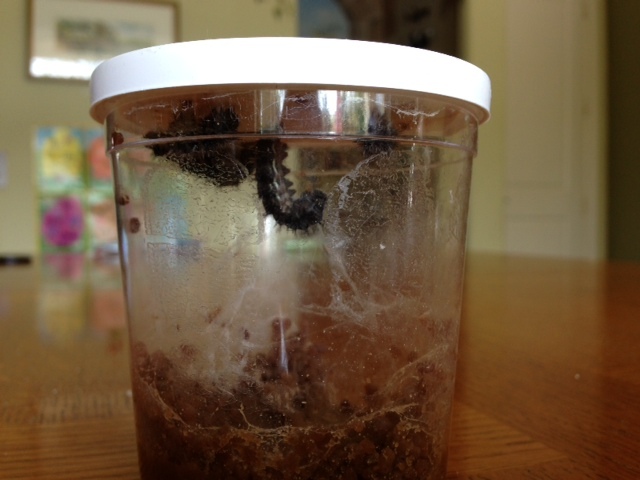 This has caused great excitement – perhaps they will be chrysalids by tomorrow, which means they will be butterflies very soon! « Can we help you with your affair?